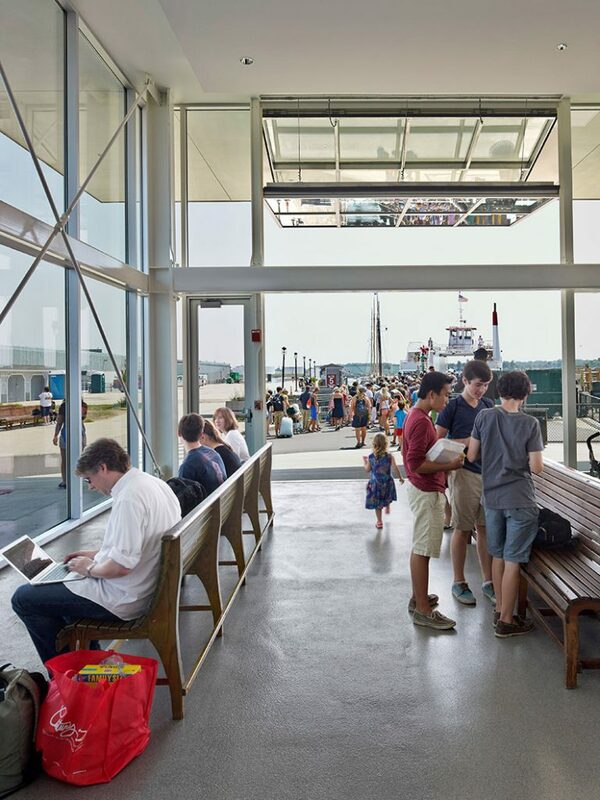 The new addition and reconfigured plaza have transformed the ferry terminal into an open, joyful public space on Portland’s waterfront. 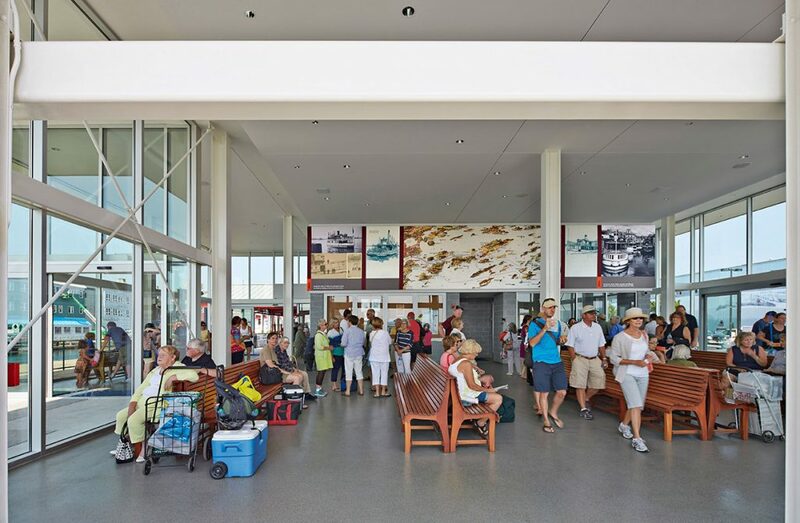 By moving the waiting room to the south end of the terminal, overlooking the harbor and Gates 4 and 5, the new addition has connected the riders directly to the beauty and allure of the island ferry experience. 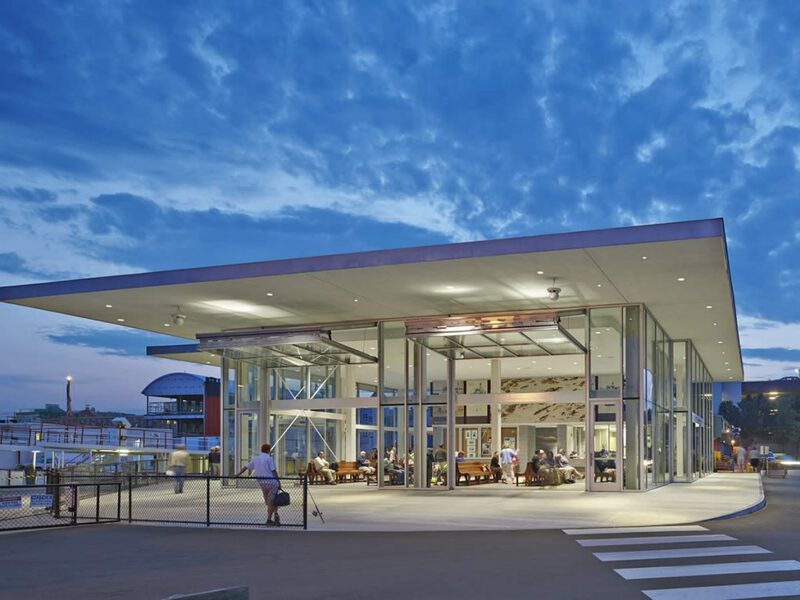 The 4,900 SF addition houses the expanded waiting room, more efficient ticket and freight offices, and larger, more serviceable restrooms. 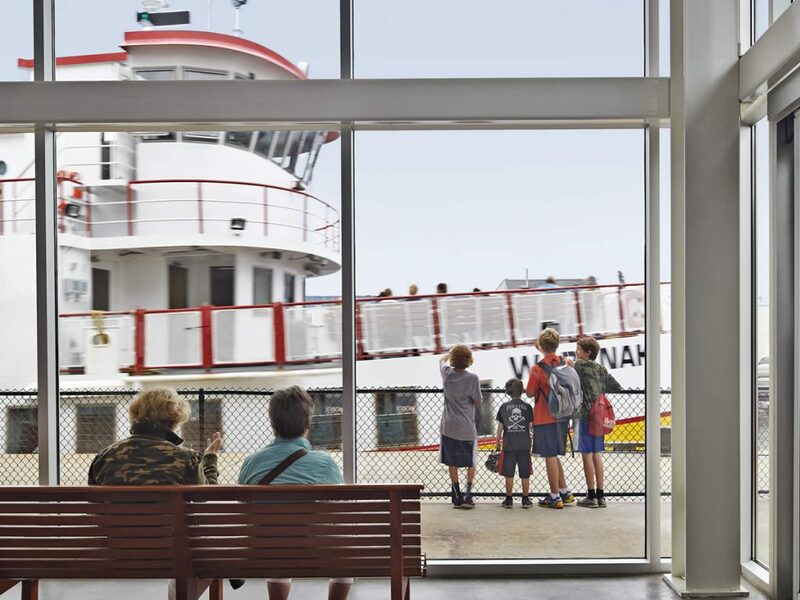 The new waiting room is a 20-foot high light-filled space surrounded by windows with views to the harbor and the ferry boats. 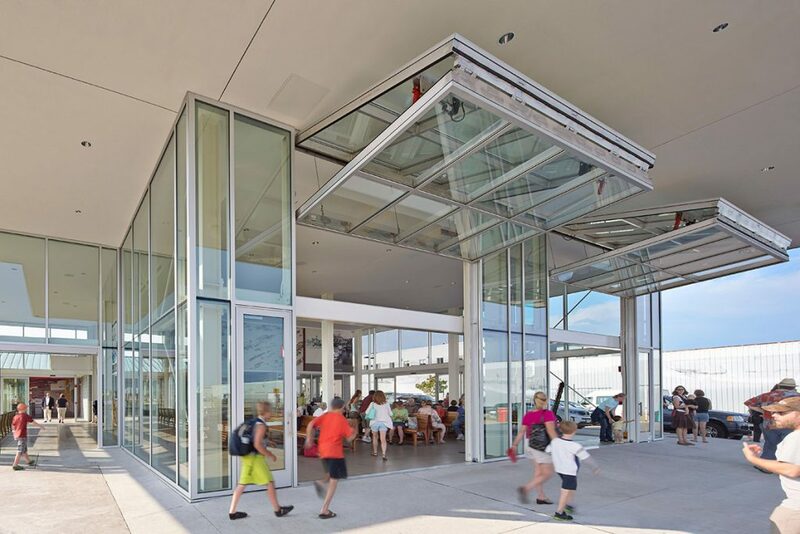 The south wall of the waiting room, facing the harbor and Gates 4 and 5, literally folds up and out of the way during the summer months, removing any barrier between the waiting room, the ferry boats, and the waterfront experience. 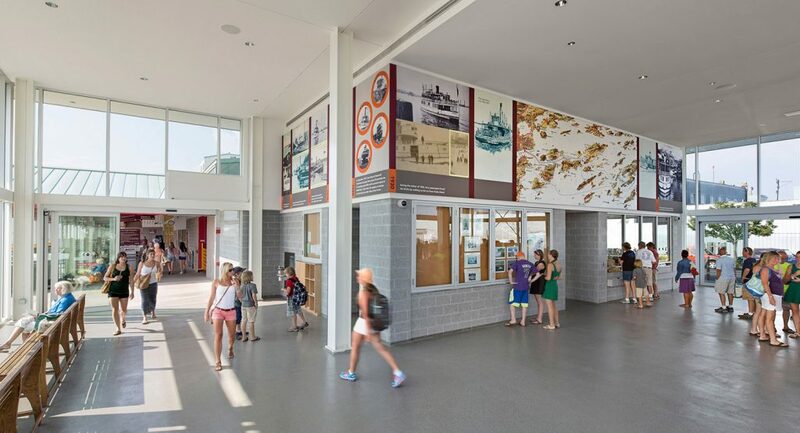 To enhance the experience a historical timeline mural is located over the ticket windows, providing visitors with an understanding and appreciation of the long, storied history of ferry service to the islands of Casco Bay.